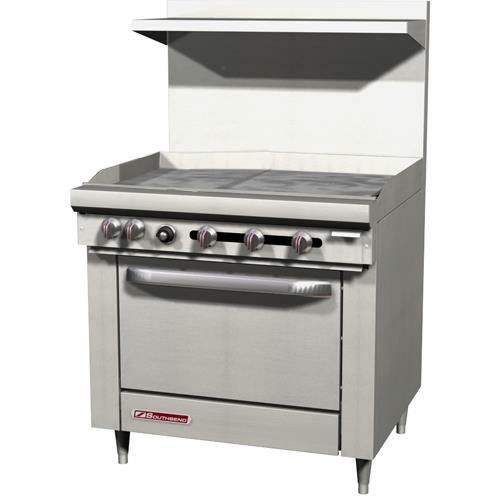 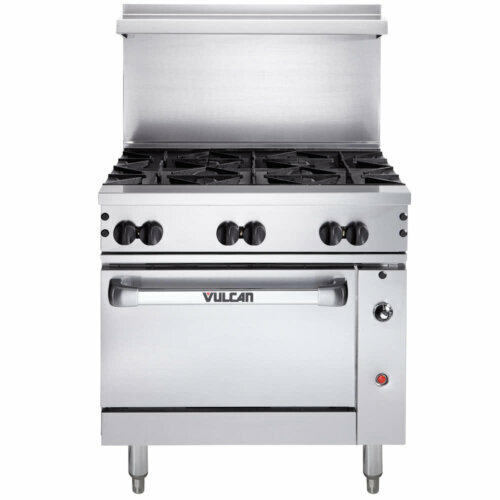 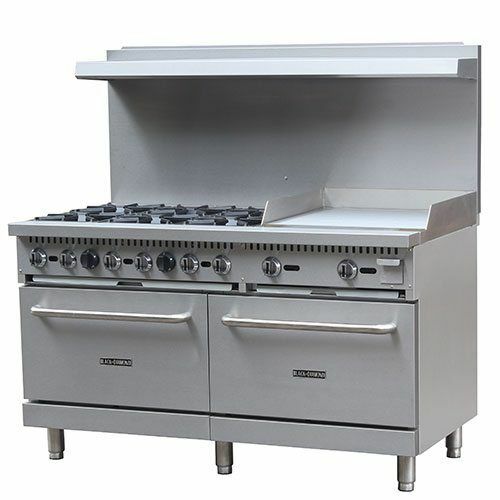 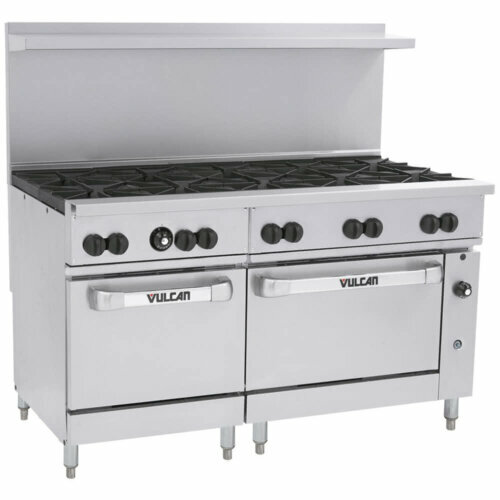 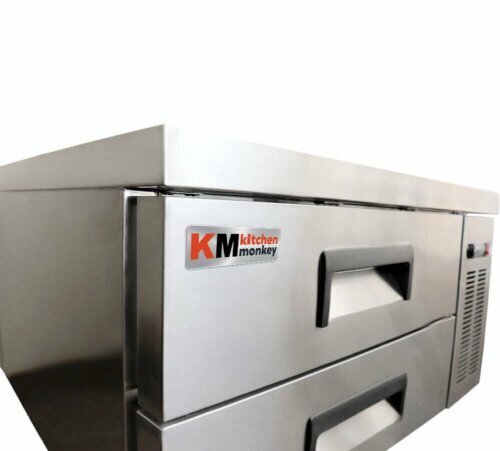 Commercial Gas Stove 36 Inch Griddle with Standard Oven 35K BTU offers a quality, 36” smooth, polished 1/2” thick steel griddle plate with raised sides, to include four (4) 16,000 BTU burners, 35,000 BTU space saver oven with snap action thermostat adjustable for 1750F to 5500F, U-shaped heavy duty oven burner, Eeuipped with flame failure safety device. 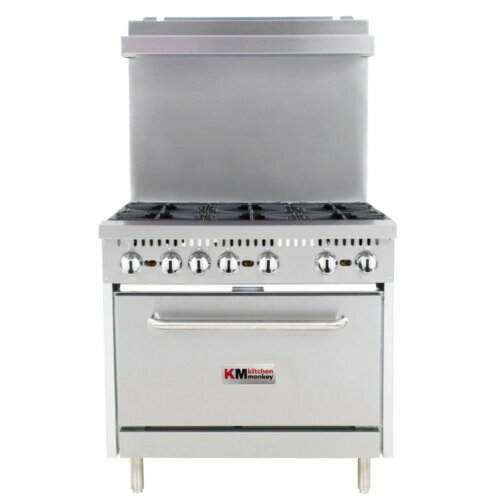 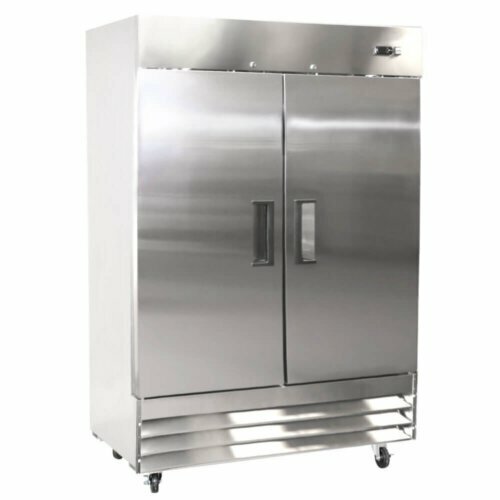 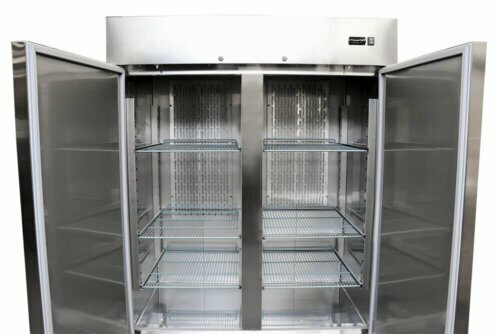 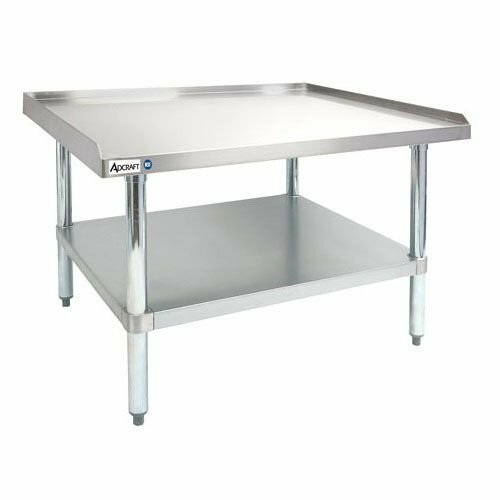 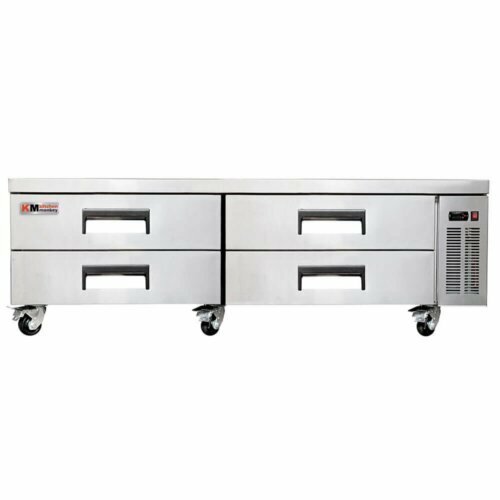 – 36-1/2” wide open top with stainless steel front, sides and removable shelf. 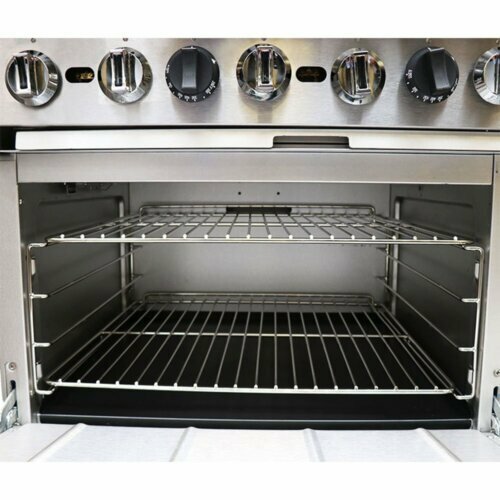 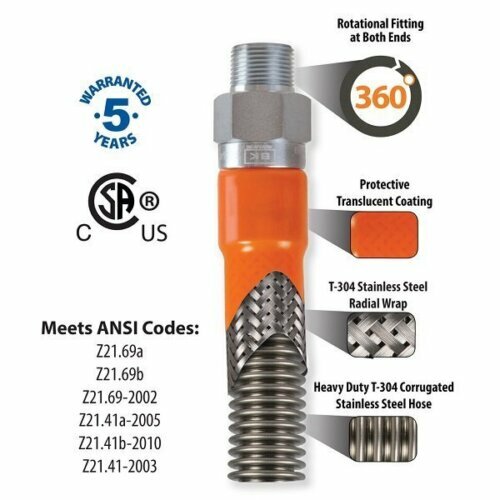 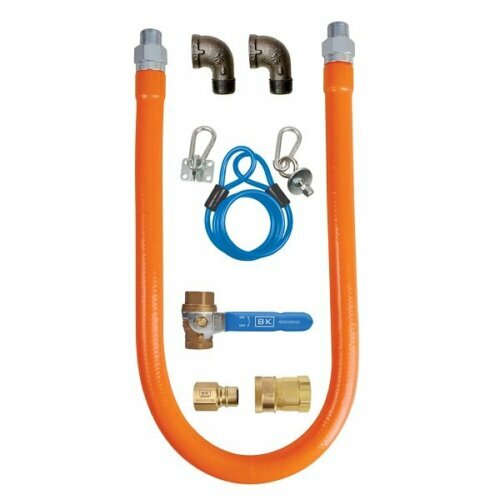 – 28,000 BTU NAT (24,000 BTU LP) PAINTED, once-piece cast iron, non-clog burners with Lifetime Warranty. 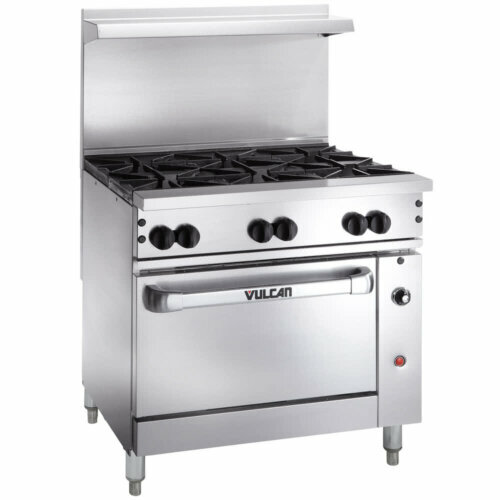 – Individual, removable cast iron grate tops (rear holds up to 14” stock pot). 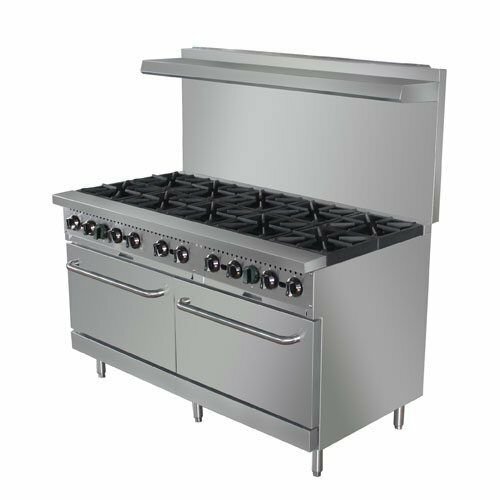 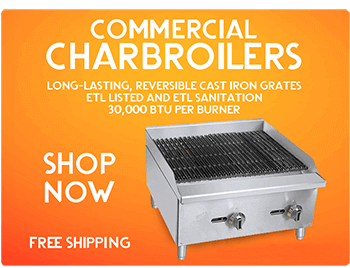 We carry commercial stove models in a wide variety of styles and sizes, so you’re sure to find one to fit your establishment.